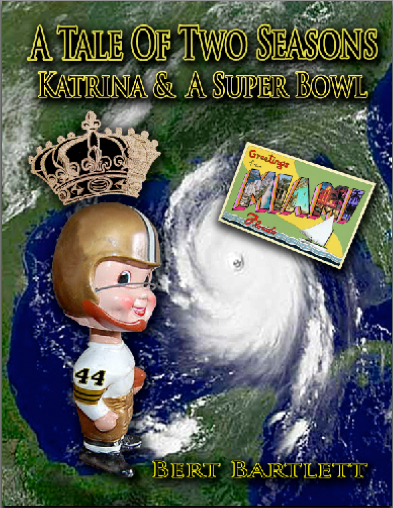 I am pleased that my new book, A Tale Of Two Seasons; Katrina & A Super Bowl, will be published shortly by Louisiana publisher Write2Grow, with eBook availability in July and Softcover in August. Posted in Pro Football, Uncategorized.Tagged A Tale Of Two Seasons, Hurricane Katrina, Katrina & A Super Bowl, New Orleans, New Orleans Saints, NFL, Pro Football, Write2Grow. This is great news. I’ve added a link to your site on my blog, under Writers. Next Post John North, R.I.P.